Hey guys, today is going to be a very different post. I've personally used Eventbrite for many of my bookish needs. If you didn't know, Eventbrite is the largest self-service ticketing platform in the world that helps people find and plan events with their conference registration software. I used it to go to Apollycon back in 2015! 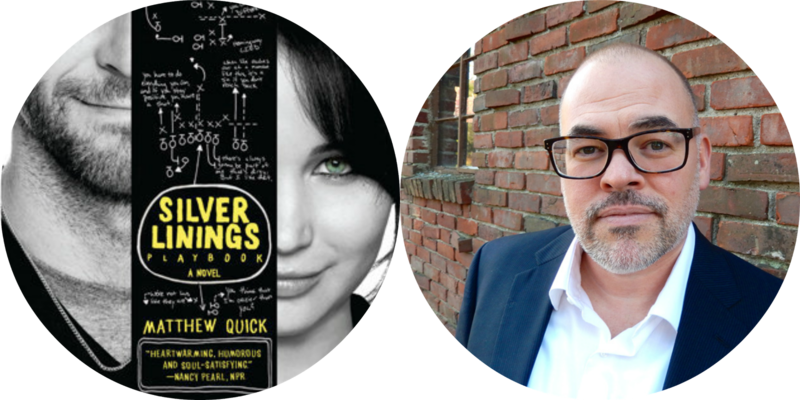 Be sure to check them out so you can get the 411 on any bookish events near you! So without further ado, let me share my dream book panel. What will the panel be about? I'm really glad you asked! You all know your girl here is big on Mental Health Awareness in books. As an anxiety sufferer myself, I feel that it is imperative to have voices that shine a light on mental illness and give hope to people who are experiencing the same thing. I picture this as one of the most inspiring and endearing panels any booklover could ever attend. More specifically, I would like it to cover why mental health awareness in books is so important and how aspiring writers can begin their journey writing in this genre. We need more of these types of books! Who will be on my panel? *eyebrow dance* I thought really long and hard about this, and I have decided to choose authors whom have a great perspective and knowledge on mental health in their books. I have read from some of these authors, but not all. I have also chosen some authors that I want to read from and whose books I've heard nothing but fantastic things on by trustworthy reviewers and personal sufferers. These are all authors, who I personally think, have very different perspectives on writing about mental illness in books. **some of the books mentioned have trigger warnings for self harm, depression, and suicide. 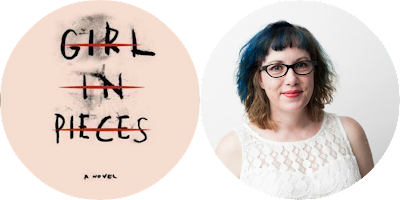 Kathleen Glasgow, author of debut novel Girl In Pieces, is an author who definitely deserves a place on this panel. I swear, I'm not just saying that because I loved her book to pieces (eyyy see what I did there?). 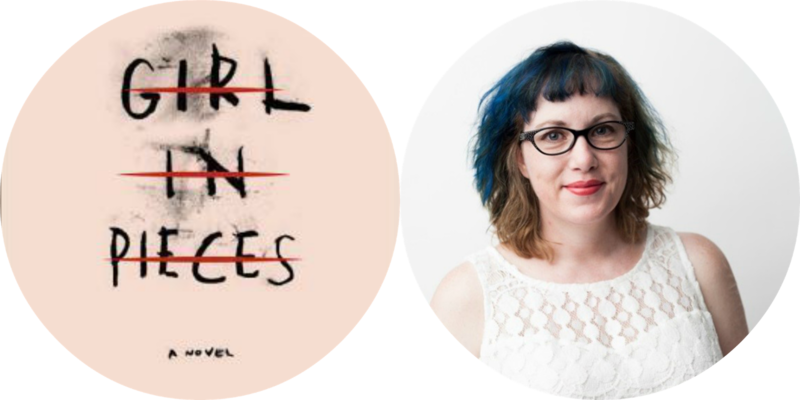 Kathleen's debut novel is unflinchingly honest, drawing from the author's own experience with self harm. The story starts off with the MC who is in a hospital. She is soon released, and we get to experience her transition back into society. Since Kathleen is an own voices author for mental health, I would love to hear her thoughts about putting her experiences on paper. Karen Fortunati is also a debut YA author! 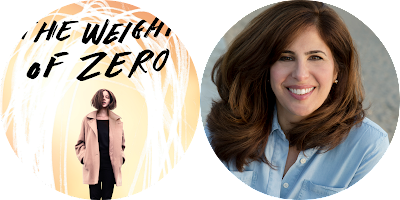 Her first book, The Weight of Zero, is about a girl who struggles with bipolar disorder. It's specifically about her recovering and relapsing from her disorder, always fearful for its return. I'm really keen on having Karen in my panel because of her extremely unique take on mental illness. Depression is personified in her book and Zero, as it is called by the MC, is always ready to drag Catherine Pulaski back into the dark abyss that is her bipolar disorder. Another great perspective to add to this panel! Matthew Quick is no stranger to the mental health community. I've only read Forgive Me, Leonard Peacock, but that book was enough to make me fall in loving with his writing and representation of mental illness. Be warned, FMLP discusses suicide and the MC's suicidal thoughts. I remember reading in an interview, that part of why he writes books surrounding mental illness is to show people that even though they might not be able to relate, they have to believe that these people exist. Thank you Mr. Quick, for being the man to introduce this community of books to me! 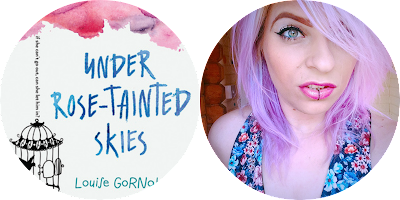 I would love to have debut author Louise Gornall on this panel! If I'm not wrong, Under Rose-Tainted Skies is Gornall's first YA novel. It follows a MC who has agoraphobia and severe OCD. Now I've already heard so much about this book, but it wasn't until April Maximus' mention in her November wrap up did I realize how much I needed this book. Reading the synopsis, I expected there to be a lot of romance; more romance than I'd like in a book surrounding mental illness. After reading April's video, however, I'm no longer reluctant to pick this up. April, also a sufferer of anxiety, absolutely loved it and said that it was relatable and the relationship wasn't romanticized at all. Sounds like a 2017 release that should be on your list! What would I ask the authors? Hello authors! Before we get into the nitty gritty questions, let's talk a little about each of your books. Tell us the title and a short summary of your book. So you all write books about the mental health community. What would you say is the hardest part about writing a book surrounding mental illness? I do believe some of you have suffered from mental illness. For those who haven't, what kind of research was done to ensure accurate representation? Kathleen Glasgow. Your book draws from your personal battle with self harm. What do you hope for readers to retain from your book? Karen Fortunati. In your book, Zero is Catherine's terrifying depression that always seems to seek her out. How you first decide to write about a personified form of Catherine's depression? Matthew Quick. Can you recommend some of the best books you've read that encompass mental health/mental illness? Louise Gornall. As you may know, often times mental illness is romanticized in YA literature. Your book includes an adorable romance, however, it is not portrayed as the savior in the story. What is your opinion on romance in books about mental illness? I don't mean to be selfish, but I would very much like to moderate this panel. It's not only because I want to meet all of these authors (okay, maybe that's 80%... 90%... of the reason why). I think I'd be a great addition to the conversation as someone who's read a lot of great and not so great books advocating for mental health awareness. I also suffer from anxiety, and I know what it's like to seek out relatable representation in books. I'll be the girl in tears at the front of the panel, sobbing over how beautiful this mix of conversation and authors is. Where would the panel take place? 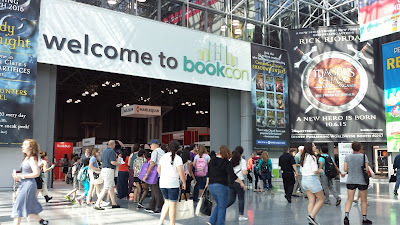 BOOKCON/BEA OF COURSE! It's been a long-time dream of mine to see large scale events (such as Bookcon and BEA) include more diverse panels. Whether it be of the LGBTQIA+ community, disabilities and mental health in books, PoC, or marginalized groups and authors, I want to see it all! I would love for this panel to someday be featured in Bookcon and BEA, as these two events draw in so many readers from around the world annually! Thanks for reading. 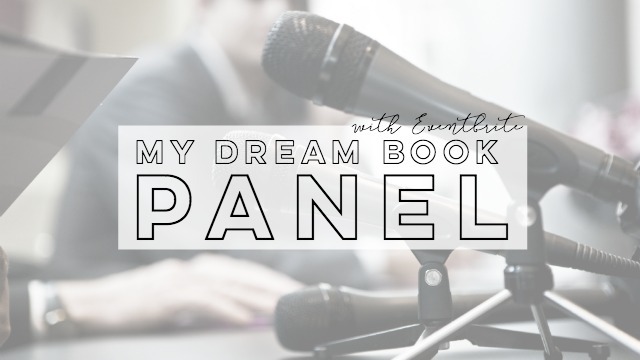 What would your dream book panel look like? I love this post so much omg! I really want to read Girl In Pieces and The Weight Of Zero after hearing so many positive reviews about them! I'd include the same authors plus Jennifer Niven because I adore All The Bright Places! Girl that means so so much to me! And of course you'd need to go. We need as many people there as possible. I'd probably take this panel on a moving tour thing hahhaa. Thanks for reading, love! Now this panel would be amazing to attend! Hopefully you can moderate one closer to me, like in California *wink wink* I would totally try to travel for it! I will read Under Rose-Tainted Skies soon but my sister told me it's really good. Great post, Alex! Loved it.